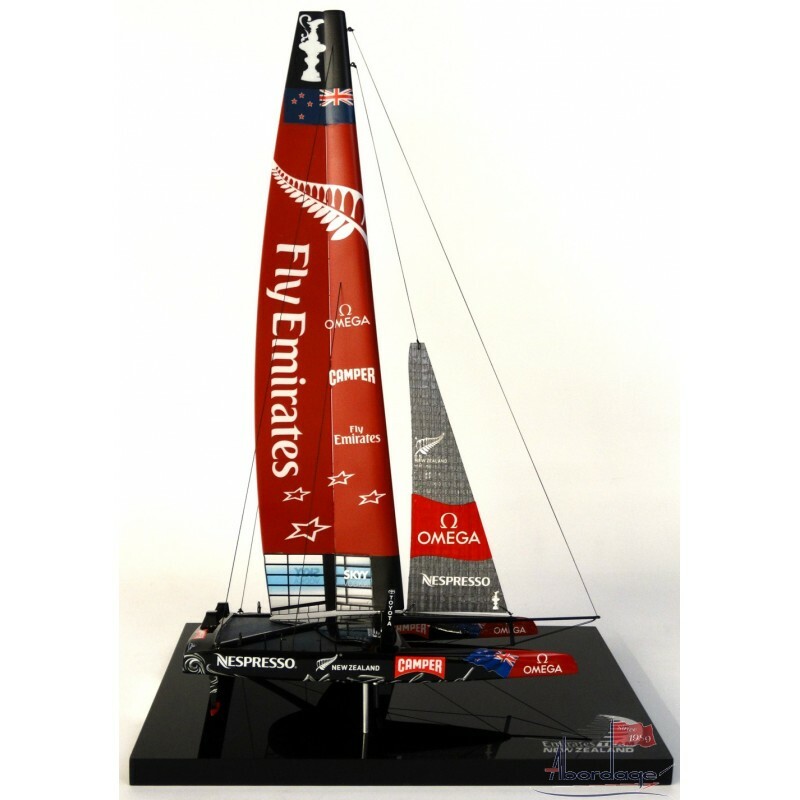 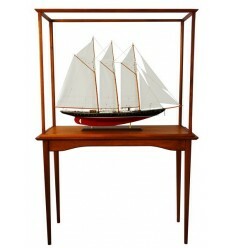 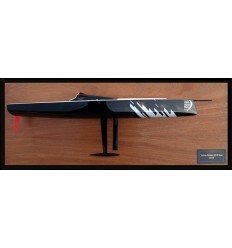 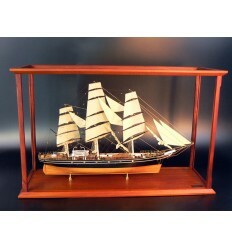 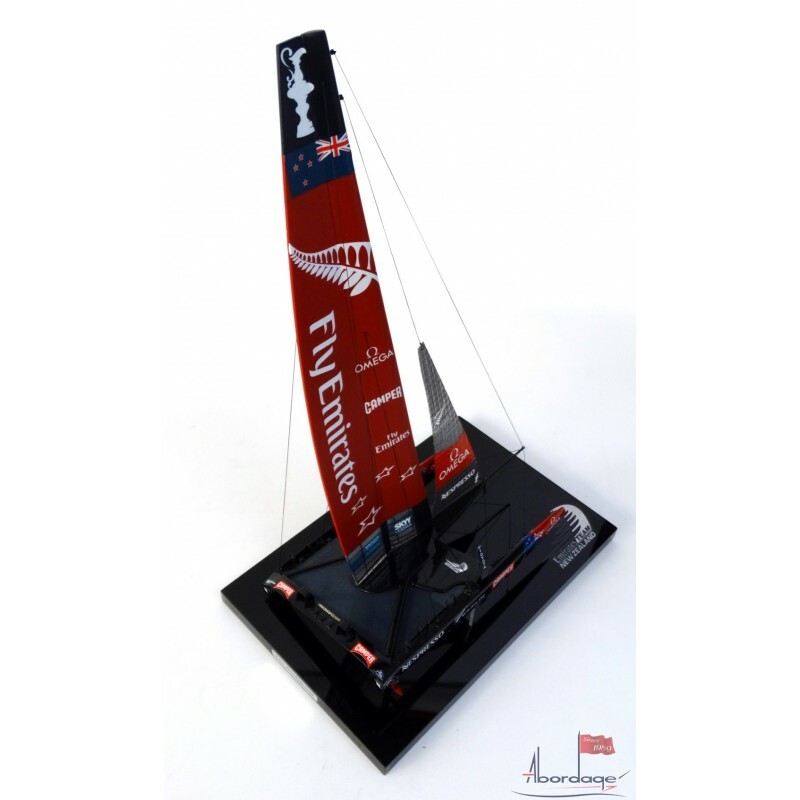 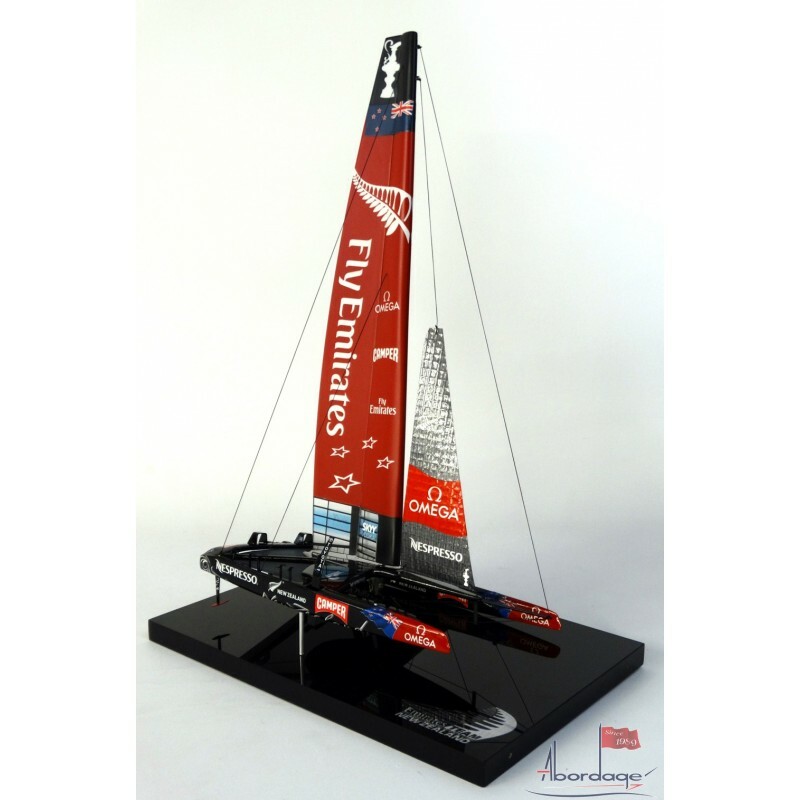 Discover our new treasure, the Emirates Team New Zealand desk model, challenger of the 34th America's Cup. 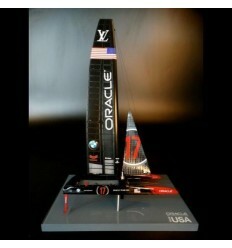 For the America's Cup lovers and after the Oracle Team USA '17' desk model, this is the must-have product. 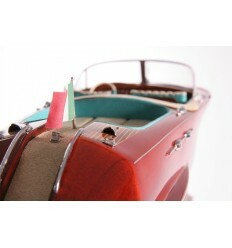 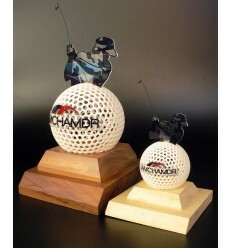 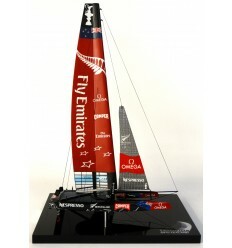 Official model maker for Team New Zealand Ltd, we are proud to put on sale this fantastic replica. 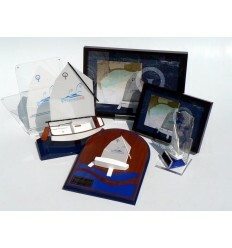 Please note that a display case ( plexiglas cover ) is included. 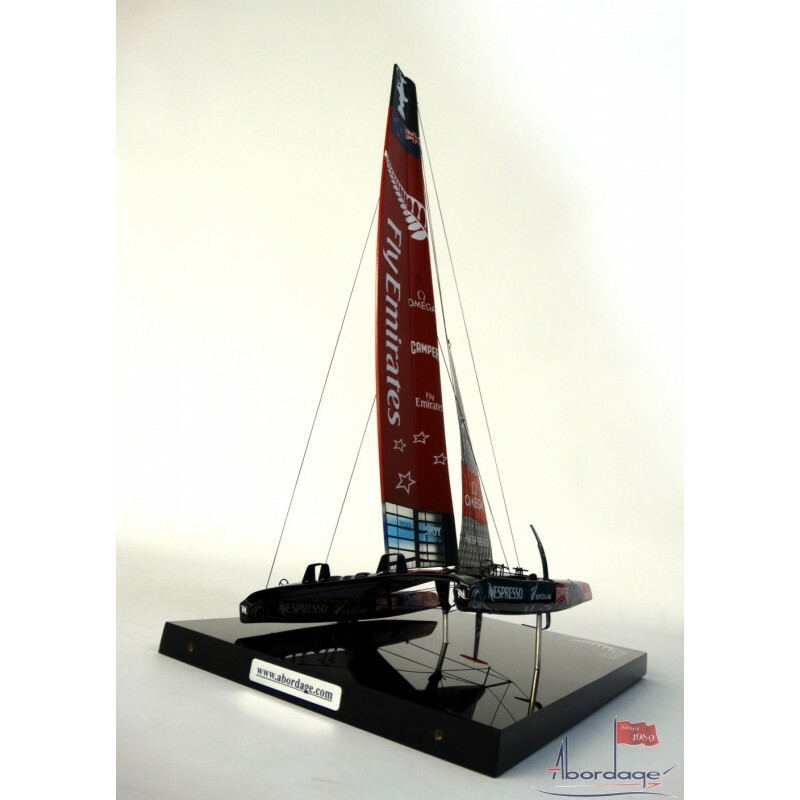 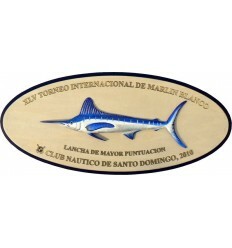 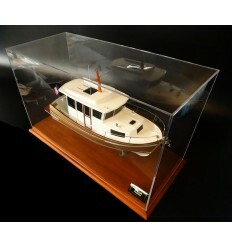 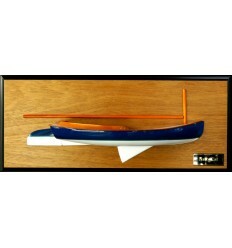 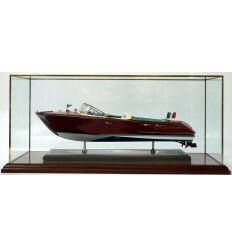 This AC 72 Catamaran high-end desk model made of resin, photo-etched parts, acrylic base, North Sails fabrics comes with support and a plexiglas cover 11.75 " L x 8" W x18 H (or 30 cm L x 20 cm W x 46 cm H).